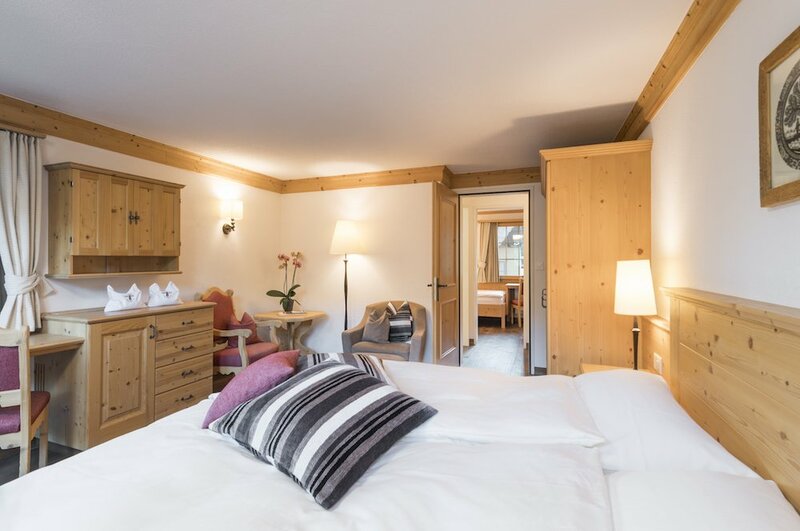 The Romantik Hotel Hornberg has 5 family rooms. 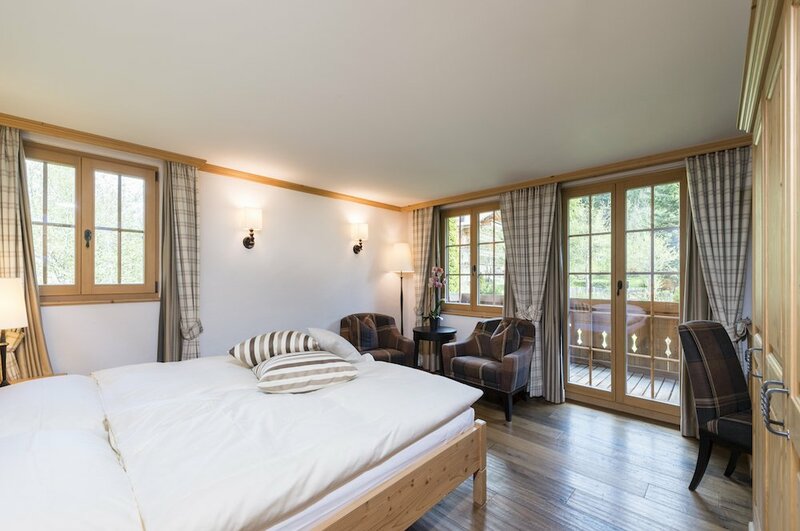 The rooms are furnished with a lot of charm in modern Alpine chalet style, offering 4 star comfort. All are non-smoking rooms: Smokers may smoke on the balcony or on the terrace. Family room with parent bedroom and small children bedroom. 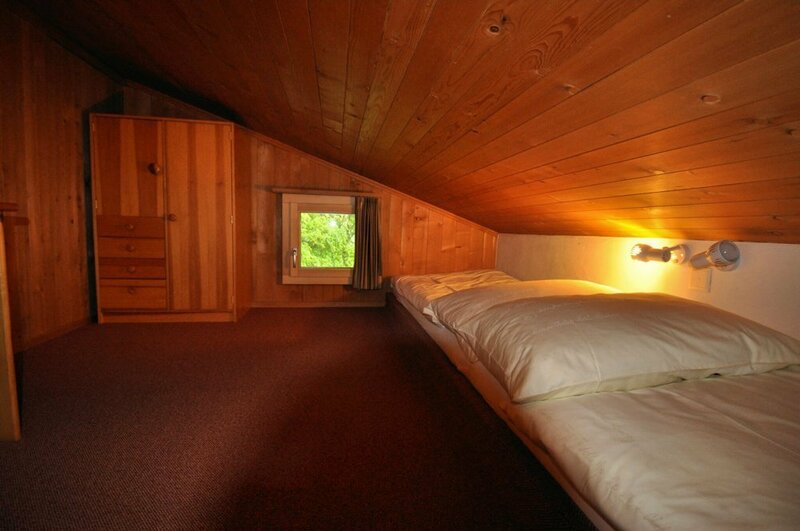 Bedroom with a king size bed as well as a children room with a slant of the roof, bathroom, balcony. Family room with two separate bedrooms. 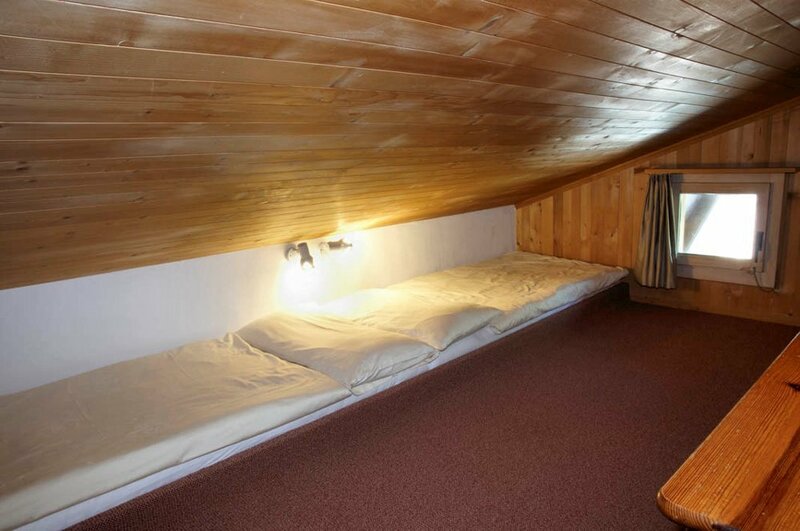 One bedroom with a double bed, room for the children with single beds, bathroom with bathtub, balcony or terrace. Bathrooms with either bath or shower, WC, hairdryer and cosmetic mirror. 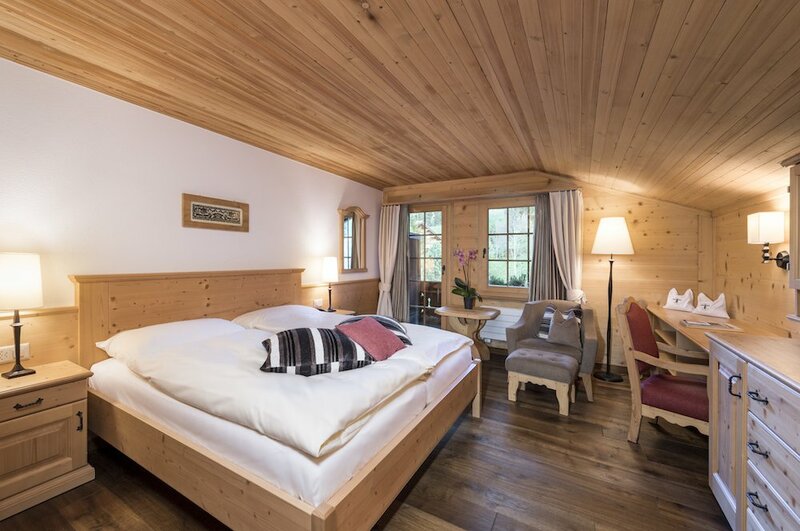 These rooms are directly under the roof and are furnished in a cosy chalet style. They have a bedroom with a king size bed as well as a children room with a slant of the roof in which an adult is unable to stand straight. This is however very popular for our little guests up to the age of about 8 years. 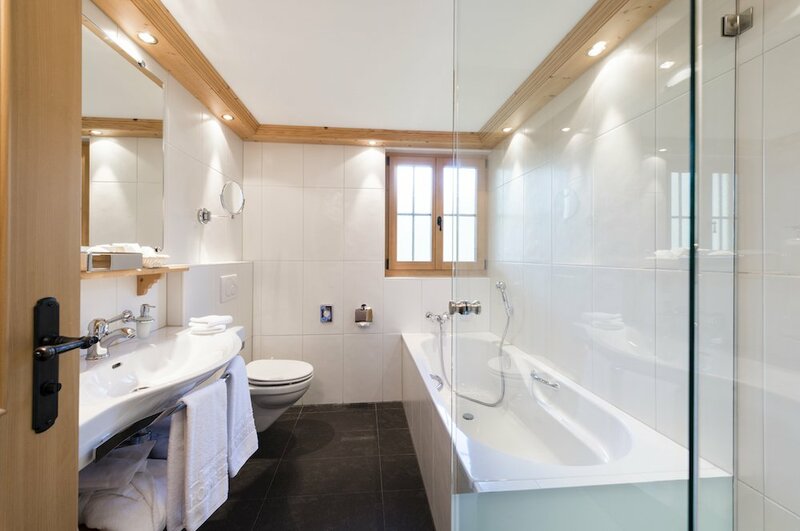 Bathroom with baththub or shower.The balconies face the hotel garden or the marvelous mountain view of Gstaad. 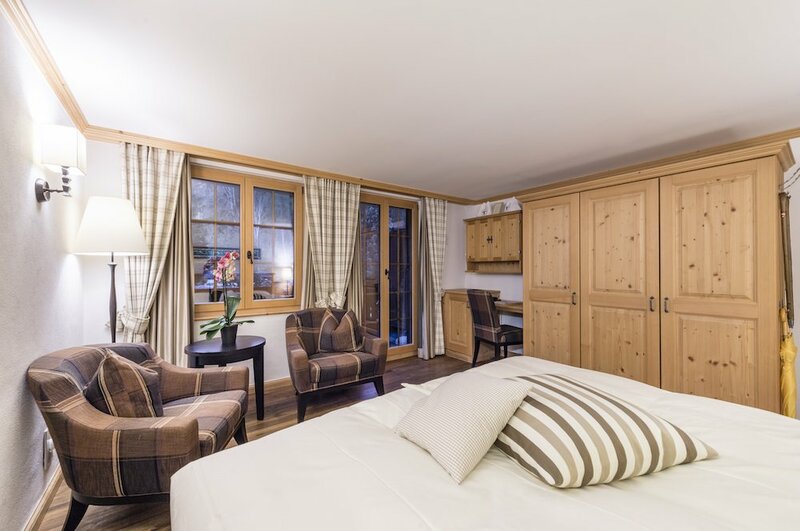 These rooms are furnished in a cosy chalet style. 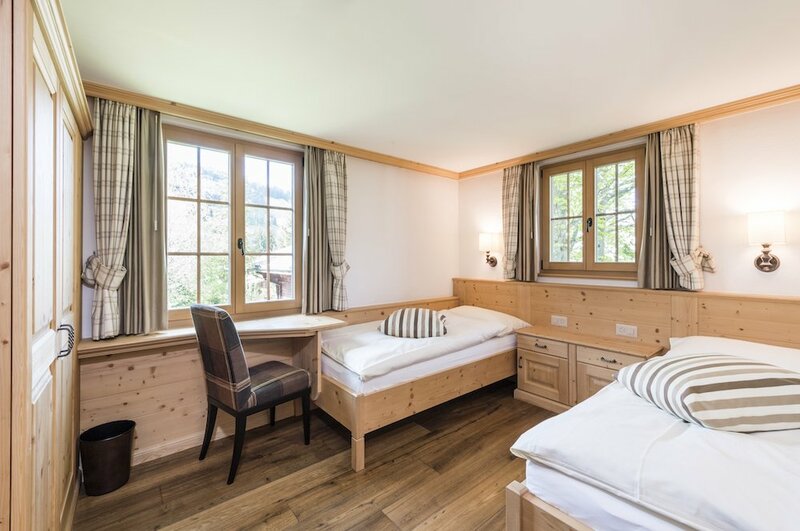 One bedroom is equipped with a double bed and the opposite room for the children has separate single beds. The bathroom is in between the two rooms and has a bathtub. Every family room has a nice terrace or a balcony facing the hotel garden.